Give the adventurer in your life a toy he's sure to love. 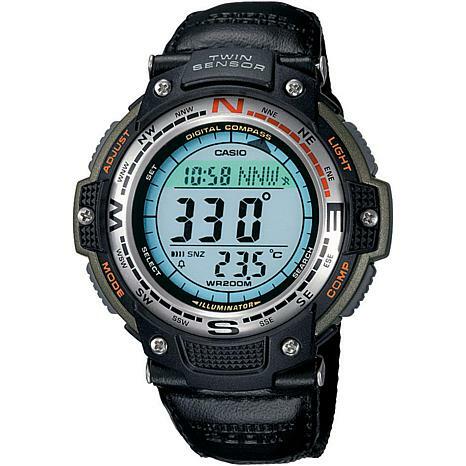 This tough yet sleek digital compass watch is just what he needs to keep him on track on the trail or in the wild. Now he has no excuse not to be back on time! 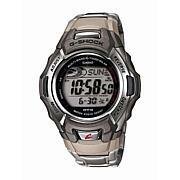 Practicality and style....Casio delivers innovative electronics for entertainment and time management. 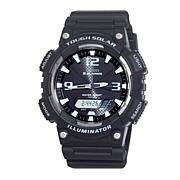 Casio is on the forefront in the development of compact, lightweight and easy-to-use designs at amazingly low prices! " He's got a knack for the exact. This is his watch. 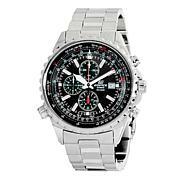 Hardwearing with durable stainless steel, tough carbon fiber and sturdy nylon, Bulova's all-terrain watch suits him up for every detail-driven task the day's mission (or round on the golf course) has in store. From the track to the street. Driver-inspired designs feature a race tread resin band, 1/100 second stopwatch and enough style to capture the checkered flag. 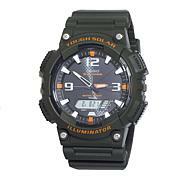 And that combined analog and digital dial delivers the at-a-glance details you need, the way you need it. Guess who's winning? You've got it.